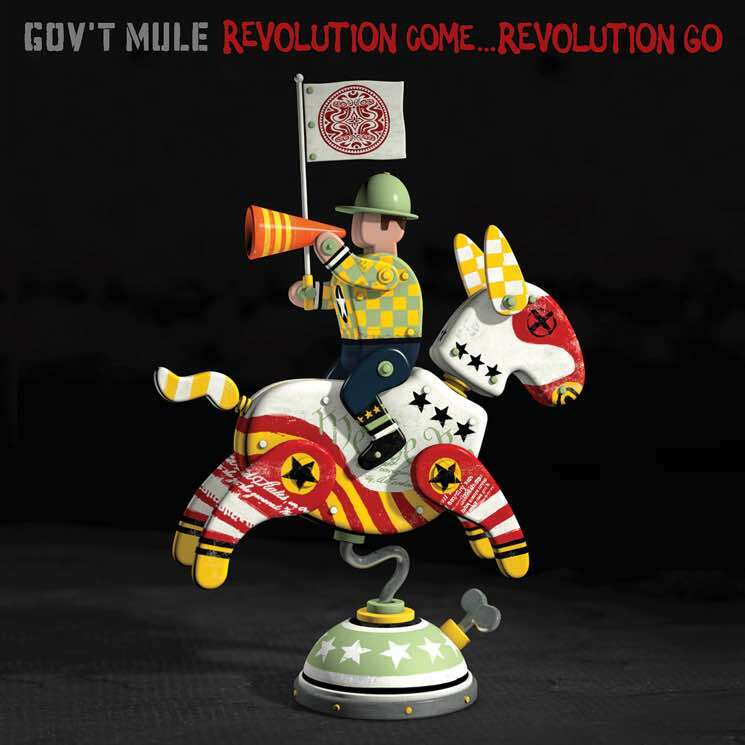 Given the circumstances surrounding its recording and release, Gov't Mule's 10th studio effort is both the most urgent and poignant effort the Southern rock/jam band juggernaut has released in its 23 years of existence. Recording commenced on November 8 (last year's American election day) and Revolution Come…Revolution Go comes in the wake of the recent passing of Gregg Allman (with whom Mule guitarist/vocalist Warren Haynes recorded and performed for over 25 years for the reformed Allman Brothers Band). There's thus a palpable sense of dread on the storming cruncher "Stone Cold Rage," which opens the set in classic Mule fashion. "I've been out to California, I've been out to St. Augustine" and "Something's happening in the backroom, spilling out like water," sings Haynes over Matt Abts' and Jorgen Carlsson's bedrock groove. Elsewhere, it's impossible not to contemplate Allman (and the recently departed Butch Trucks) when first hearing the wistful tribute to road life "Traveling Tune." The quartet flex their versatility on "Sarah, Surrender," its jazzy chord changes reminiscent of an early 1970s Philly Soul single, while "Drawn That Way" starts as a bluesy groover before shifting into a spiky uptempo barnstormer.